Nothing says the holidays like the bright tart cranberry, and Washington is a big producer of cranberries! They are in season throughout the fall and common in farmer’s markets and grocery stores in time for the holidays. This super easy cranberry syrup is perfect for holiday cocktails and mocktails and will ready you for lots of festive fun in no time! There really is no way for cranberry syrup not to be easy (two ingredients! )…it’s just so EASY and BEAUTIFUL AND DELICIOUS! 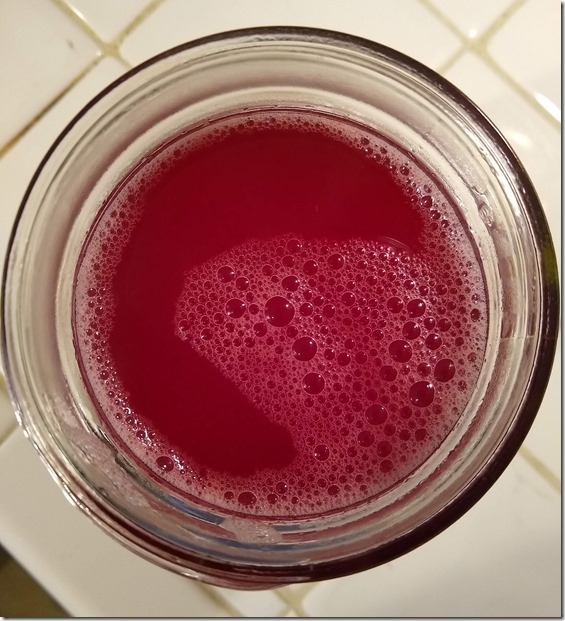 Easy Cranberry Syrup ready to be enjoyed! The basics are to boil cranberries with water, then strain them, then heat them up with some sugar. That’s it! Once you have this beautiful syrup, you can mix a bit of it with some sparkling water for a fancy water, or you can make it into a festive holiday cocktail! You could also cook it longer and make it into a thicker syrup to put on pancakes. Delicious and easy cranberry syrup that you can make as sweet or not as you like by adjusting the amount of sugar. Delicious to add to sparkling water, for cocktails or even as a northwest holiday pancake syrup. Put the berries in a saucepan and add water to cover them by a couple of inches. Heat on high to boiling, keep boiling for 10-15 minutes. Berries will have burst and will be falling apart. Pour liquid through a strainer into a large bowl. Discard the cranberry pulp or save for another use. Return the liquid to the pot, add the sugar and warm and stir until sugar is dissolved. Taste and add more sugar if you prefer it sweeter. Use right away or keep for a couple weeks in the fridge in a mason jar. I like the sweetnesss of half a cup of sugar, however, you can taste at this stage and if you’d like it sweeter, add a bit more sugar! 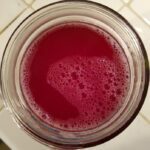 There are lots of recipes for canning cranberry syrup, when I have tried canning it I have often had it set up like a jelly (cranberry really likes to gel up!). I just make it and keep in the fridge to avoid this (I also don’t let it come to a full boil as I’m heating the sugar in the syrup, I just get it warm and stir till the sugar is all disolved). If you want it thicker, bring it to a boil and boil it for a few minutes!